Although unofficial, here is a listing of seven attractions in Florida that would be sure to make it on a list of state wonders. Wildlife at the Everglades National Park. The State of Florida lies in the southeastern region of the US and has been named the Sunshine State with its capital at Tallahassee. Florida's economy depends on tourism, transport, and agriculture. It has a population of 20,612,439 people made up of different ethnic groups like the Native Americans, Hispanics, Latinos, European American, and African Americans. The state of Florida is popular for its recreational amenities and rich history that are provided in various destinations and attracts millions of tourists every year. Florida Reef is the world’s third largest and only living coral barrier reef system in the American Continent. It houses 1,400 species of marine animals and plants. There are also 40 species of stony corals and 500 species of fish living in the Florida Reefs. The diversity of the species in the reefs is comparable to the coral reef systems in the Caribbean Sea. They are about 5,000 to 7,000 years old since they started developing during the Wisconsinian glaciations. 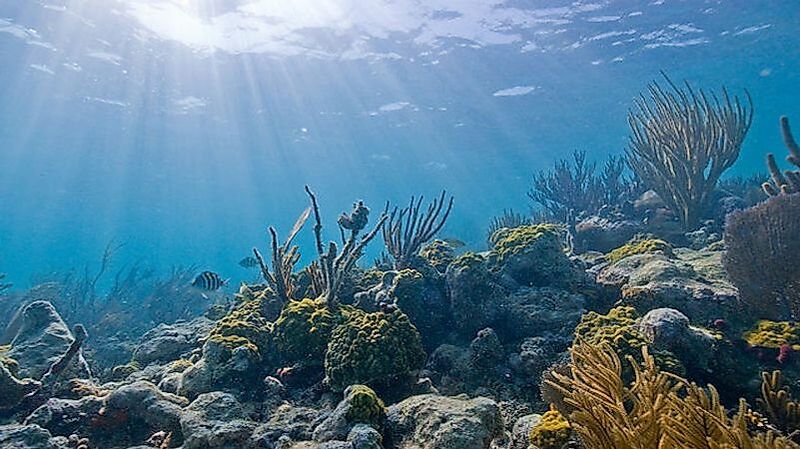 The densest and spectacular reefs are on the seaward of Key Largo and Elliot Key where the long keys protect the reefs from effects of water exchange. The Florida Museum of Natural History identifies three communities in the Florida Reefs which include the hardbottom reef community, Patch Reef Community, and bank reef community. The hardbottom reef community consists of algae, stony corals, and sea fans. The Patch reef community is made up of corals that start growing in shallow water and grow towards the surface of the water while spreading outwards. Bank reef community are larger compared to the patch reef and are found on the outer reefs. The reefs have provided activities such as scuba diving, snorkeling, and fishing. 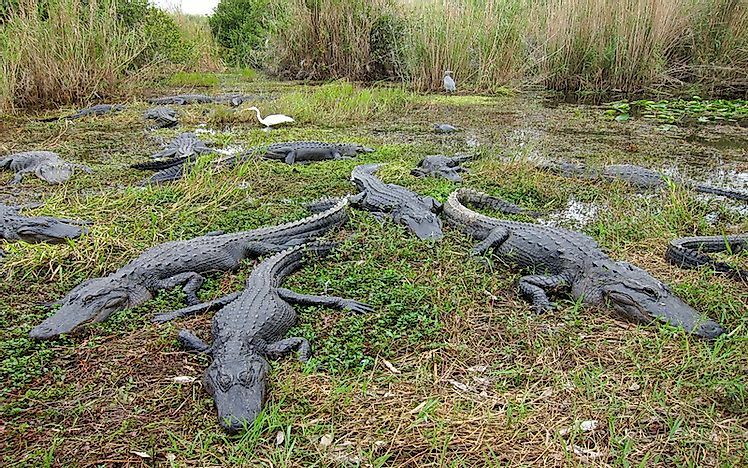 Everglades National Park was established in 1947 and lies on the east side of the Mississippi river. It is the largest tropical wilderness has been declared a World Heritage Site, as well as an international biosphere reserve and a wetland of international importance. The primary purpose of the park is to protect the fragile ecosystem that is fed by a flowing river from Lake Okeechobee. It has the western hemisphere’s largest mangrove system that is a breeding ground to warding tropical birds. The park hosts 36 protected or threatened species such as the American crocodile, Florida panther, and the West Indian manatee. 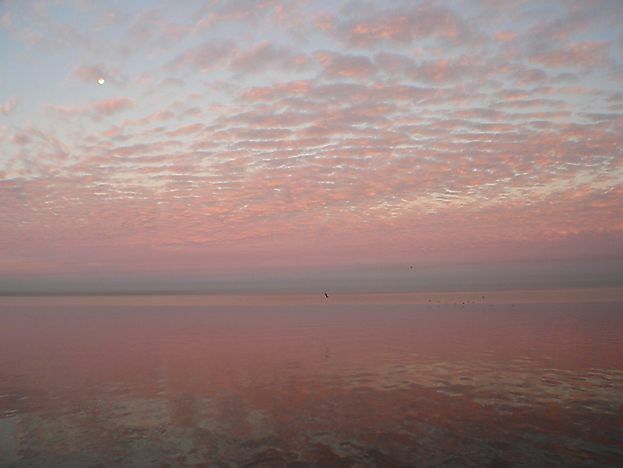 It also supports 350 bird species, 300 fresh and saltwater fish, 50 reptiles species, and 40 mammal species. Activities visitors can enjoy include canoeing, kayaking, and hiking. 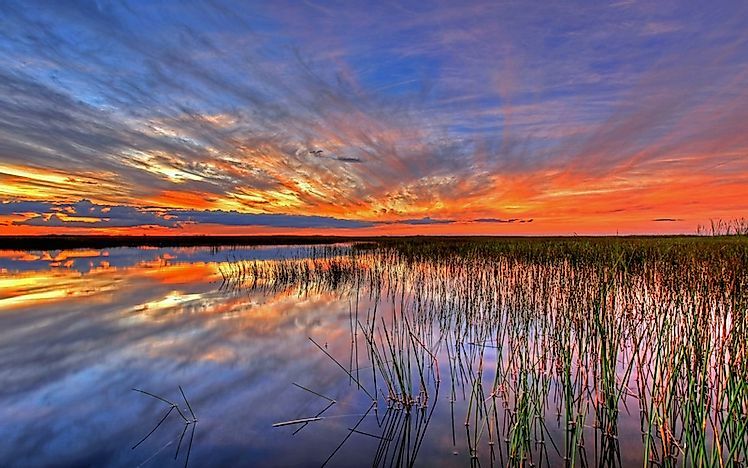 Lake Okeechobee is Florida’s largest freshwater lak,e covering 730 square miles and a depth of 9 feet. It sits on a geological trough that underlies both the Everglades and the Kissimmee River valley. The lake’s hurricane susceptibility since the Great Miami Hurricane in 1926 and the subsequent effects on the environment and population led to the creation of the Okeechobee Flood Control District with the help of the US corps of engineers who came up with avenues of preventing future disasters. Authorized use of the lake includes navigation, flood and storm risk management, recreation, water supply and fish and wildlife enhancement. It has a scenic trail which can be used for hiking and cycling. Visitors can also enjoy fishing the largemouth bass, bluegill, and crappie which are most common. Inspired by Turkish Architecture, Henry B Plant constructed the historic landmark hotel from 1888 to 1891. As the founder of the Plant system of railroads and steamboats, he brought a railroad in 1884 to Tampa thereby expanding the market as the fishing industry prospered and brought about the start of the tourism industry. Sitting on 150 acres, the hotel provided recreational activities from wild game hunting to canoeing, and with the availability of steam ships one could travel to Jamaica, Havana, and other destinations. In 1898 President McKinley issued a declaration of war against Spain and Tampa was chosen as the official embankment point for American forces and served as headquarters for US Army. 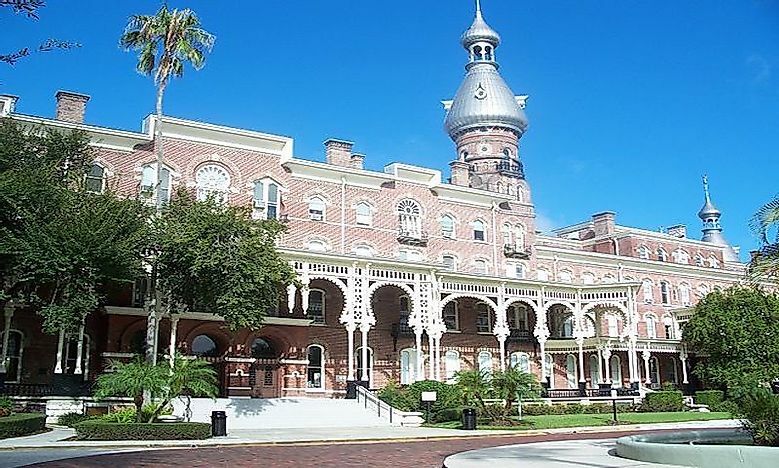 In 1933 it was leased to the University of Tampa and became opened to visitors. Named the ancient city, it is the oldest European settlement within continental US borders with a population of 12,975. 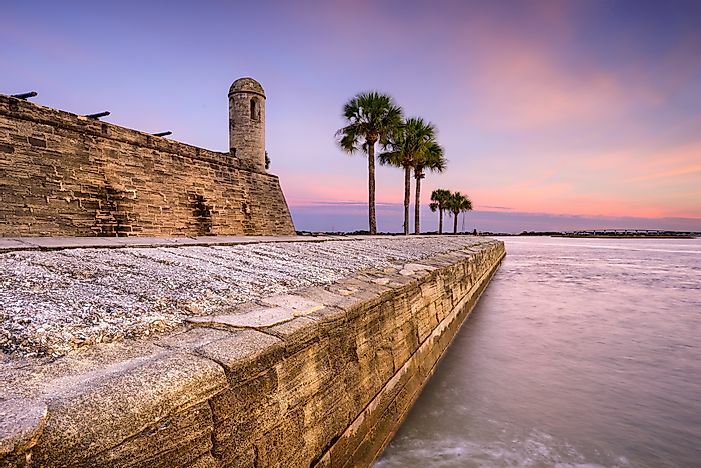 Founded in 1565 by Pedro Menendez de Aviles, a Spanish admiral who named it San Agustin and it served as the capital of Spanish Florida for 200 years. In 1819 Spain gave over Florida to the US and was made Florida’s capital in 1821 during the ratification of the treaty until 1824 when Tallahassee was made as the official capital. It celebrated its quadricentennial in 1965 since it was founded and a program of restoring parts of the colonial city was inaugurated. Now tourists can learn the history in various eras such as visiting the Avero House, Fort Matanzas National Monument in Spain era. There are places like the Ponce de Leon Hotel, Bridge of Lions and Ripley’s Believe It or Not Museum. 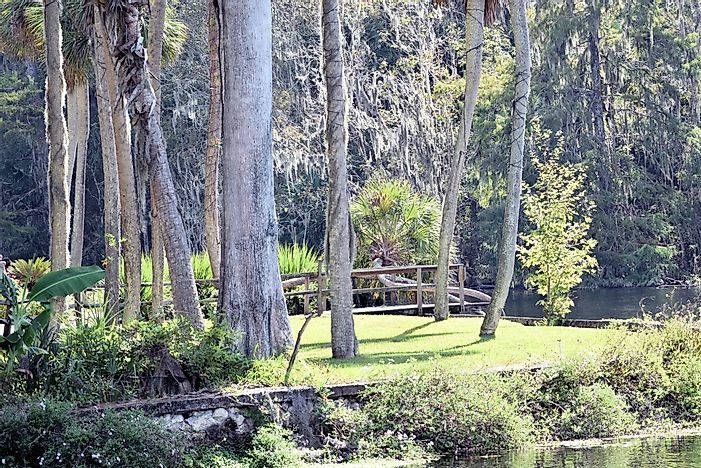 Founded in 1852 and it is one of the first tourist attractions in Florida and among the world’s largest artesian springs formation producing 500 gallons of water every day. In 1971 it was designated as a National Natural Landmark and sits on a 242 acre with a concert stage, amusement park, and carousel. Features available include native animal exhibitions and glass bottom boat tours to view below the water’s surface which began in the 1870s. The Wild Waters water park opened in 1978 and the T.W. Randall House which is a historic place is also located there. Other activities include kayak and canoe trips. 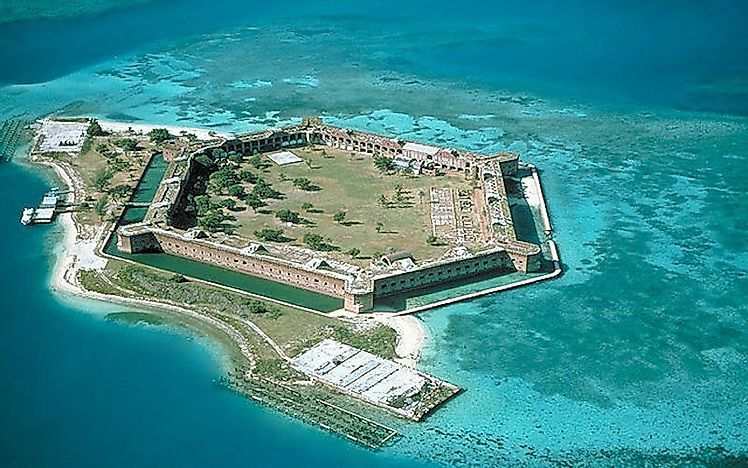 Fort Jefferson is located within Dry Tortugas National Park on Garden Key and it is a large structure of brick masonry. It was constructed in 1846, containing the Garden Key Lighthouse which provided guidance around the island’s reefs and islands. The lighthouse keeper’s cottage was the base for a naval station for securing the country from invasion. During the civil war in 1863 it became a military base, and by the end of the war in 1865 the fort had a population of 1013, 527 most of who were being kept prisoners as former army mebers accused of deserting duty. However, it later jailed four civilian prisoners who were convicted of the assassination conspiracy of President Abraham Lincoln. In 1888 the military handed over the fort to serve as a quarantine station to Marine Hospital service. It was made to a national park in 1992 and provides activities such as camping, snorkeling and a tour around the fort.